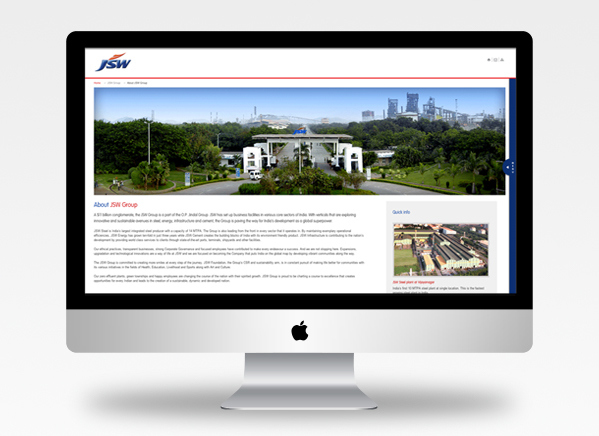 The JSW Group is a part of the O.P. Jindal Group. JSW has set up business facilities in various core sectors of India like Steel, Energy, Cement, Infrastructure. 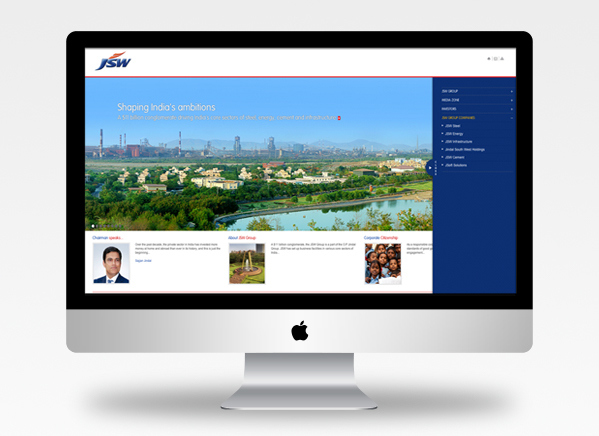 JSW wanted a website that was more international in look and content. The final website successfully represented the size and scale and put a great deal of emphasis on all their employees who have moulded the company into what it is today.